Our product range includes a wide range of magnetic liquid trap, liquid trap magnet and prong magnet. 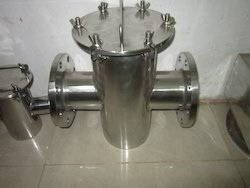 We are one of the leading manufacturers of Magnetic Liquid Trap. Can be connected directly to the pipeline with any type of modification. Can be erected horizontally or tangentially Without affecting magnet efficiency. For higher temp like 200 to 400-degree centigrade can be offered the special type of magnetic system. Easy to clean ferrous material by quick opening with the help of wingnuts. The bunch of magnetic cartridges is placed in the housing which will have inlet and outlet to pass liquid in line system. During the passing of the liquid through magnetic cartridge will attract iron particles and available liquid. It will be cleaned by opening top enveloping fixed with help of wing nut arrangement. 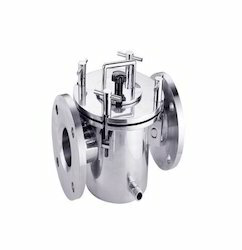 Various types of magnetic cartage boiling for high-temperature liquid handling. Useful to connect directly to the pipe line of various sizes. Can be installed horizontally or-or tangentially without compromising magnetic power efficiency. Also available for corrosive liquid by giving anti-corrosive coating on magnetic Cartage. Prong Magnet or Liquid Magnet offered comprise the precision engineered range of Prong magnets. These are used in many production areas including units engaged in the production of liquid sugar, syrup, confectionery and juice products. The bunch of magnetic cartridges is placed in the housing which will have inlet and outlet to pass liquid in-line system. During the passing of the liquid through magnetic cartridge will attract iron particles in an available liquid. It will be cleaned by opening top enveloping fixed with help of wing nut arrangement. 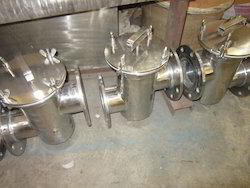 Various types of magnetic cartage boiling for high-temperature liquid handling. Useful to connect directly to the pipeline of various sizes. Can be installed horizontally or tangentially without compromising magnetic power efficiency.